bag: Coach crossbody. love this bag, also doubles as my camera bag on the weekends. wallet: Fossil, keeps me well organized. music: Ipod, currently listening to the yeah yeah yeahs. read: Club Dead, finished. I never leave home without a book. keys: simple, only carry keys I use everyday. car, home, work along with my lucky star and auto-start for those chilly winter mornings. camera: canon sd790. needed a small pocket camera. it takes ok pictures. necessities: lip balm, one clear, one with a little color. emergen c vitamin pack. small notepad for a my forgetfulness and my trusty swiss army knife because you never know when you'll need a blade or a small pair of scissors. overall I think the contents of my bag say I'm simple & practical. 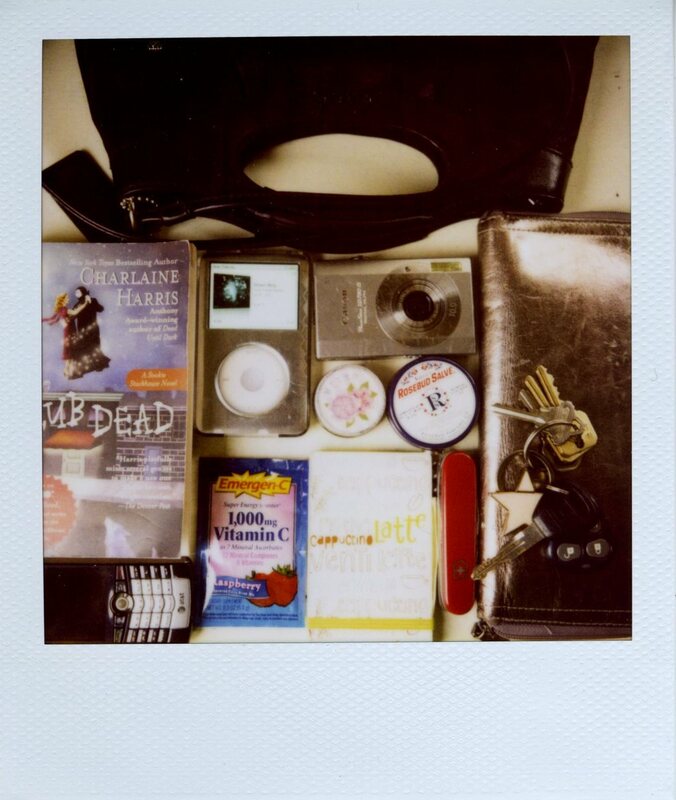 what's your in your bag?